Are you interested in visiting the gallery with your group? 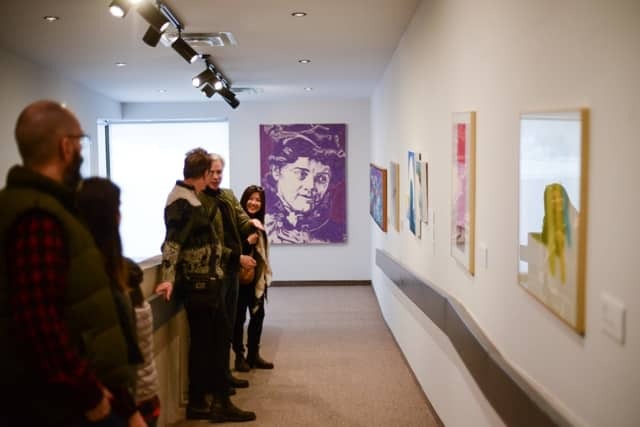 We offer interpretive tours of our exhibitions. After the tour, browse the Gallery Shop and relax with light refreshments and discussion. Tours for small groups (under 20 participants) are offered free of charge; for larger groups, please contact us. Art workshops (all levels welcome!) may also be included for a fee. Call us to discuss your requirements or to book: 705 743 9179.